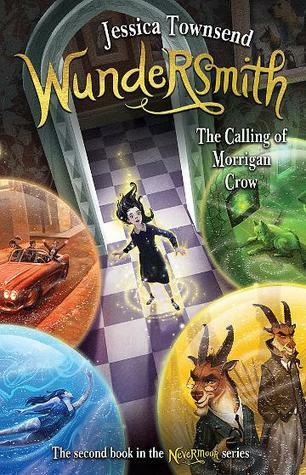 The young wizard Jinx concludes his suspenseful and dryly humorous adventures in the magical forest of the Urwald with this third installment in the series that ALA Booklist says "deserves a permanent place in the children's fantasy pantheon, with Narnia and Earthsea" (Jinx's Magic, starred review). This action-packed conclusion is perfect for readers of fantasy adventure series such as Septimus Heap, the Sisters Grimm, and Fablehaven. The forest is under attack and its magic is fading. Can Jinx summon enough of his magic--the bright fire within him--to rescue Simon, defeat the Bonemaster, unite the Urwald, and fight off the invaders? He is the Urwald's only hope. . . The battle for the Urwald is drawing in, with enemies on all sides. Jinx, now a powerful fourteen-year-old wizard, is currently trying to convince the various inhabitants of the enormous forest to group together and form an independent nation, while at the same time work out what the evil Bonemaster has done to his mentor, Simon. Can he and his friends free Simon, defeat the Bonemaster and bring peace to the mighty forest? 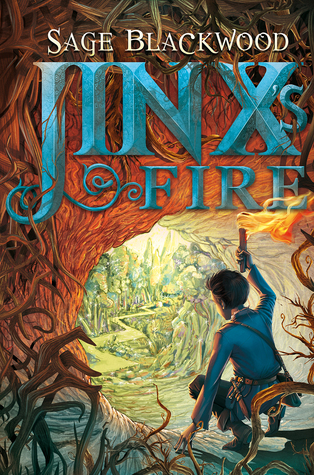 Through these books, Jinx has gone from a little boy confused and abandoned in the forest, to one of the most powerful wizards in the land with all of the Urwald forest’s lifeforce magic to back him up. Along with his friend Elfwyn, who is under a curse that forces her to always answer questions truthfully, they must work with all the people and creatures of the Urwald to work towards a common goal. It’s a dark story at times with plenty of death and destruction, but maintains a fairly lighthearted feel to the story with a dry sense of humour in the telling. Jinx struggles with missing his mentor, Simon, and his unwillingness to embrace the full range of his powers made me worry right along with him. He’s not your usual hero, not strong or even particularly friendly, but he is fiercely loyal to his friends and his country. He also has some of the sassiest lines I think I’ve ever read in a middle grade book, and they got me a few funny looks on the train from giggling out loud! There are several types of magic in this world – the lifeforce and deathforce magics of Jinx and the Bonemaster, witches and wizards’ magic, and then there’s the Knowledge is Power (commonly known as KniP) of the Samarans. KniP is an interesting one, in that you just have to know something in order to make it so. It’s mostly used to create doors between places, such as between Simon’s house and the safe house in Samara. But watch out – once you know something is there, it cannot be unknown, at least not right away. There are times in this book where I felt the metaphoric imagery might have been a little lost on younger readers, especially the parts with the paths of ice and fire. I’d say this is more a story for more mature middle-graders rather than the younger ones, but this trilogy is a great read for a variety of readers – teens will enjoy the coming of age tale of Jinx and Elfwyn, while older readers will also find some deeper themes to enjoy. – A mostly delightful story with believable characters, awesome magic and a snarky hero who will have you cheering. I loved it!